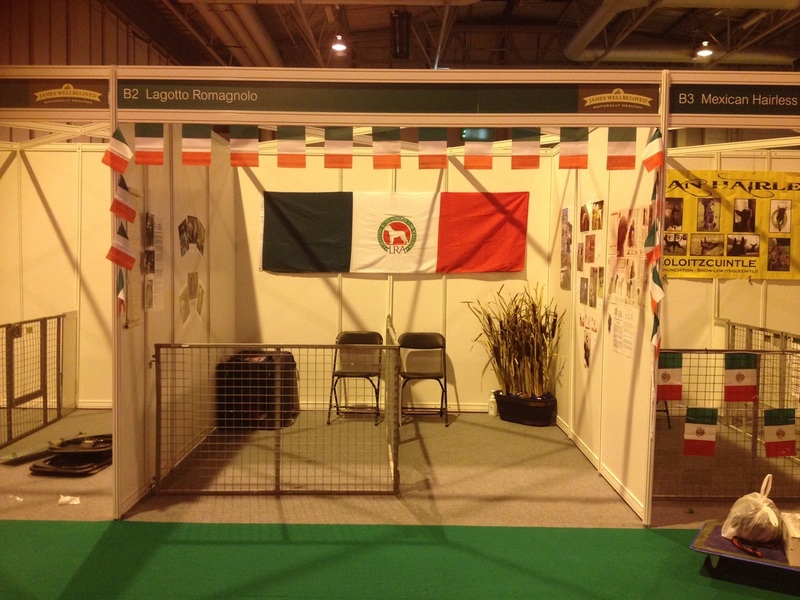 During late September the LRA was honoured to have a booth at the National Pet Show, held over 2 days at the NEC, Birmingham. 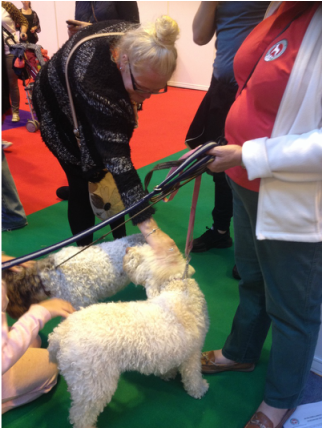 This is a different type of show to Discovery Dogs in that there were a variety of different pets around the hall, including ponies, reptiles, birds, small furry creatures such as rabbits, guinea pigs and ferrets and cats. 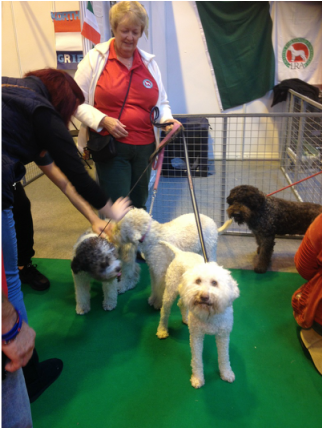 We did wonder at the wisdom of the organisation where the booths for the dogs were directly opposite the cat area, but fortunately the cats were far enough away in their cages not to cause any friction and I don't think any of the dogs even noticed them. On both days there were hoards of people, lots of children with their parents and several disabled people in their motorised wheelchairs. 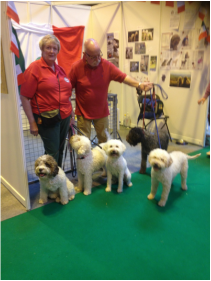 The dogs coped with everything without batting an eyelid, they were almost cuddled to an inch of their lives for hours on end - they were a credit to our breed, especially so, since most don't have that much interaction with small children or motorised wheelchairs on a day to day basis!! 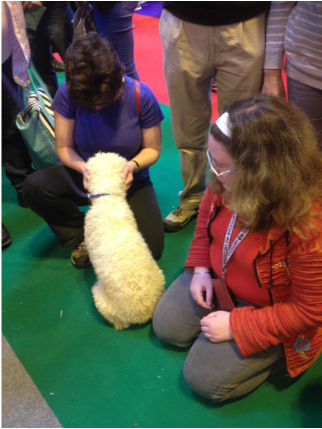 There were a few woofs when scary frog shaped balloons floated passed at floor level. 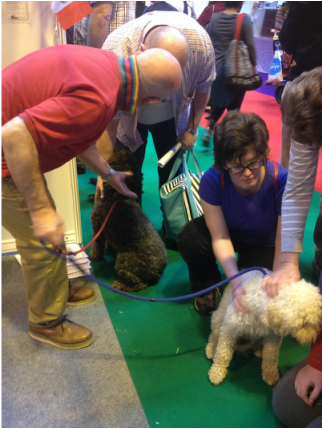 Those volunteers who took their dogs got asked all sorts of questions about our breed not without some confusion from the people as elsewhere in the show where booths for cockerpoos and labradoodles...you can imagine how restrained we had to be about how we answered!! 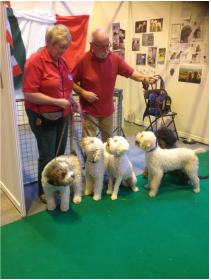 Hopefully we got across that a pedigree dog is much better than a designer cross breed and that people do have other options.